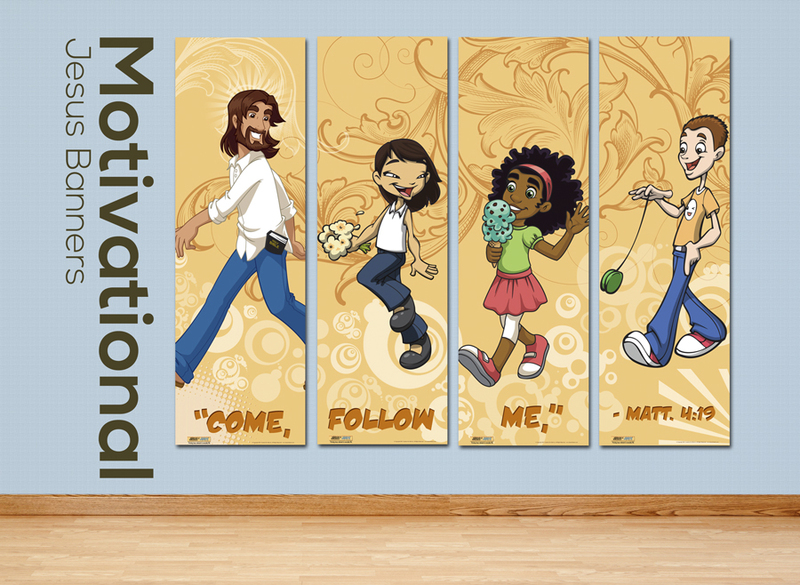 Our children's ministry banners are perfect for displaying a high quality, content relevant splash of color anywhere in your children's ministry. 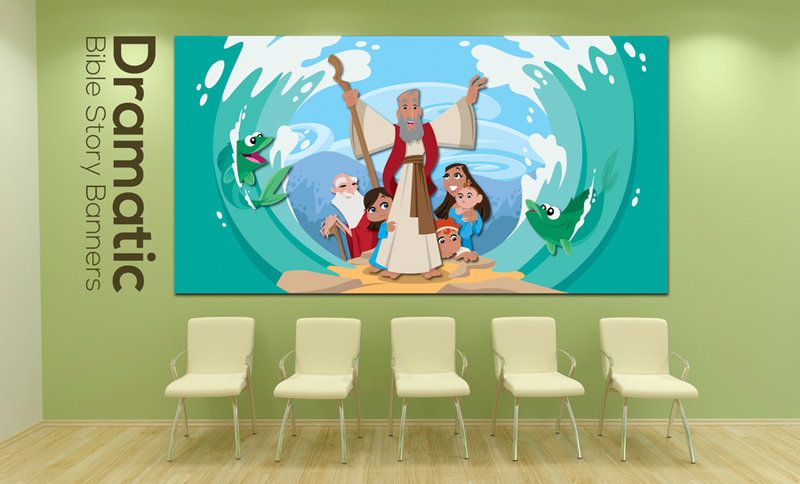 They are a great visual impact down your children's ministry hallway, classroom, check-in area, or anywhere you need a exciting solution to a boring environment. Our children's ministry banners are made from high quality reinforced non-curling vinyl with clear grommets! Are you a portable church? Each children's ministry banner is easy to hang, easy to store and easy on the budget! We are constantly adding new designs and styles so check back often to see all our new children's ministry banners!